THESE GLOVES WILL MAKE WASHING EASIER THAN EVER! 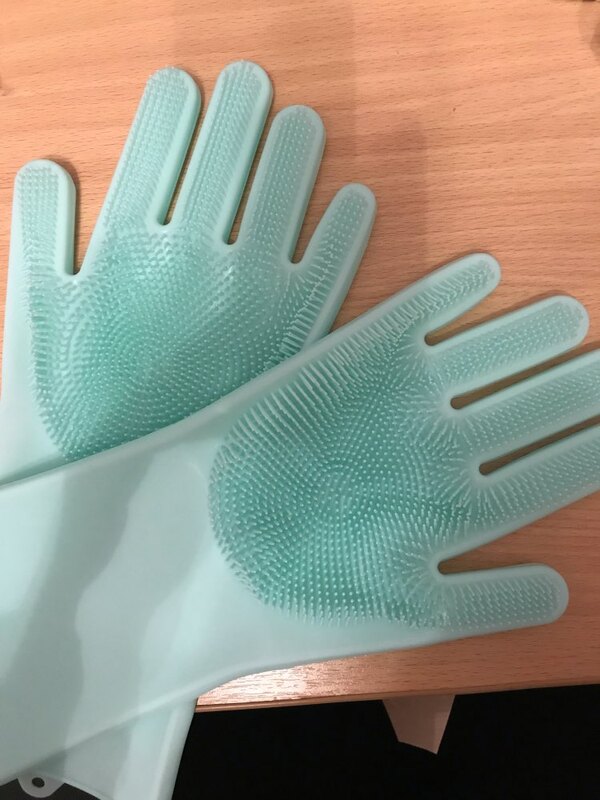 The Silicone Cleaning Gloves is perfect for you who think that "Happiness is a clean kitchen". The combined glove and scrubber design will help you clean pretty much anything from dishes, kitchen, pets, until your cars. 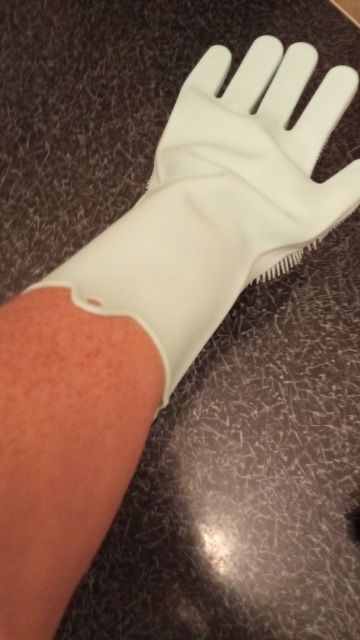 These gloves are the perfect pal for your home cleaning needs. 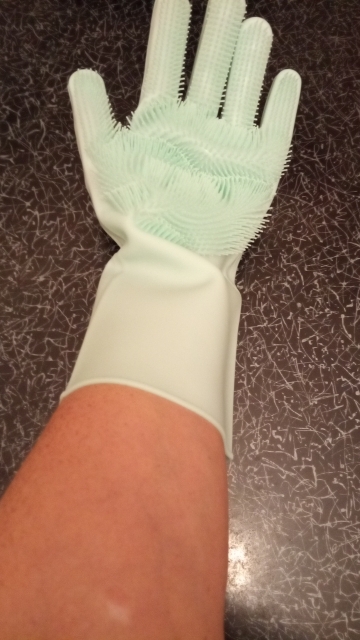 CONVENIENT - The cleaning game changer with scrubber and gloves combined design. It means you can clean pretty much anything without extra brush or sponge needed. MULTI-PURPOSE - Can be used for washing dishes, handling hot pans, cleaning fruits and vegetables, scrubbing surfaces, washing pets, and washing cars. HYGIENE - 100% Free Bacteria with Easy Disinfecting Method by putting the gloves in boiling water above 212°F (100°C) for 2 minutes. DURABLE - Made of 100% food grade silicone, the gloves are highly elastic and last forever. 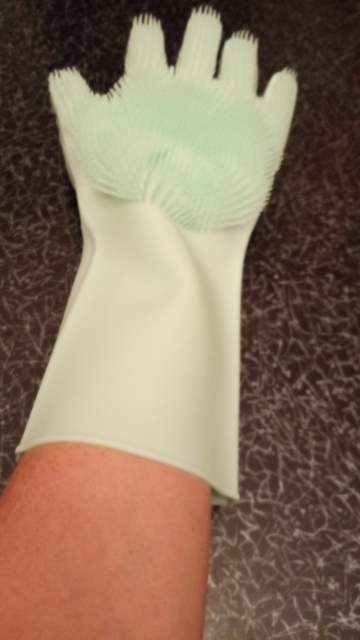 The scrubber gloves are made from 100% food grade silicone. The tough silicone material is designed to hold high temperatures of up to 160° C (320° F). They are flexible and won't stretch out or deform with regular use. These gloves are built to protect your hands, making it easier to finish your chores. Thank You Very Much! Very fast delivery!!! 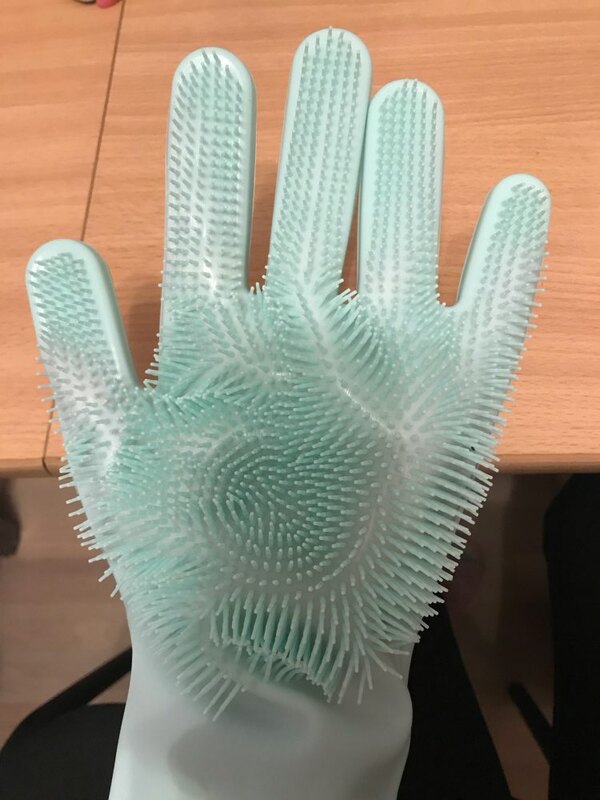 Thick gloves, but soft and comfortable sitting on your hand. Will use with pleasure. Second time ordered. Very fast delivery. A quality product.